Land Pride mowers are all the rage these days, especially for homeowners who want to keep their lawns in line. Not only do Land Pride mowers have a great reputation for longevity, but when they do need fixing, it’s pretty easy to find reliable sources of Land Pride parts. If you’re interested in Land Pride as your next premium lawn mower investment, then scope out these top 3 Land Pride mower series that will enable you to cut grass like a pro. Finally, here are some great news for the homeowners, in their quest to achieve perfect harmony for their lawns. Not only are the ZST series of Land Pride mowers comfortable to handle due to its control levers, but it also allows to turn around and not hit anything with the rear end when mowing alongside a building or a landscaping. The cutting height ranges from 1” to 4 “ – which is maximized by the adjustable increments. This makes it suitable for a wide range of grass sizes, as well as any turf grass. You could comfortably say that the ZST 40 is second to none in the current market. It is also equipped with a small stance for driving, which enables the owner to maneuver easily and make tight turns. The Land Pride ZST 40 mower is designed with a speed of up to 6 MPH (going forward) and reverse of 4 MPH with adjustable steering levers. The levers come with comfortable grip handles, which can be adjusted for anyone operating the machine. This ensures comfort and sustained productivity to the user. There is nothing that beats these Land Pride mowers for homeowners, quite literally. 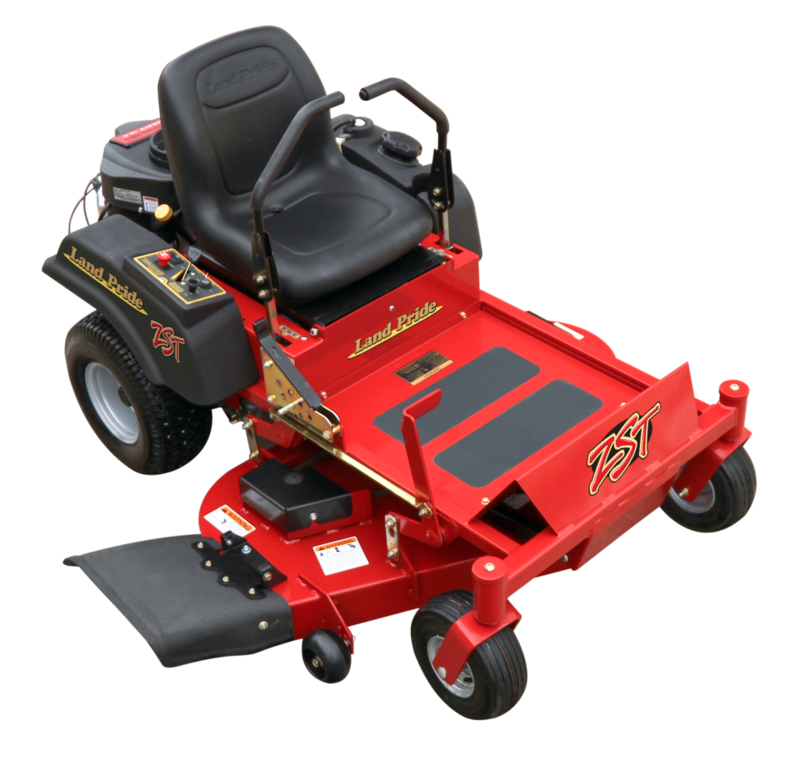 For starters, the ZSR series (super razor) for small acreage with its large rear tires wins in the polls for the best of the best lawn maintenance device. Secondly, unlike most zero turn mowers, the floating front axle position of the Land Pride ZSR series of mowers enables it to operate in the toughest of compounds. It can perform maintenance tasks in rolling and undulating terrains, since all the four wheels stay in contact with the ground. This leads to an obvious, intended positive consequence – comfort. The floating position gives you a smoother and more comfortable ride than most Zero Turn Mowers. In the rigid position, the ax also allows you to hang on the left deck side over the curb for a clean cut. This series of Land Pride mowers offers a higher ground speed that enable it to cut a lot of grass in a short time, unlike mainstream grass cutters. It also has wide, rear tread tires that make it stand out. One of its greatest qualities is the electric start with choke control with keyed ignition that enables a convenient one-handed starting. 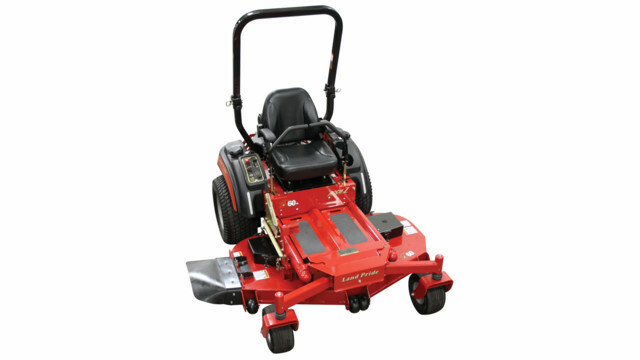 The center-mounted engine also provides maximum mower stability as well as easy service access, increased leg room and increased air flow around engine fins to extend engine life. The ZT3 series is the epitome of efficiency in varied chores ranging from the farm, the local sports field or even commercial business field. The ZT3 series falls under the “true jack of all trade and master of all” category. It provides smoother rides than never before; not to mention a clear line of sight for the operator, in all directions. It also has low center of gravity as well as legroom and arm extensions for stability and maneuverability. 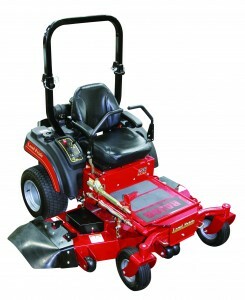 The series meets the needs of customers who need to mow in tighter areas and around obstacles. Its wide premium drive tires provides excellent traction, outstanding side-hill stability, and a smooth ride. Furthermore, the Kawasaki engine that is proven to meet customer preferences with power and performance makes it an unbeatable option for any operator.